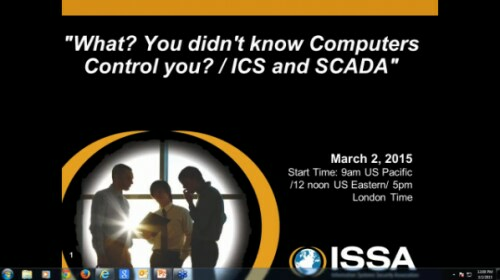 Blog Home > SCADA & ICS > What, You Didn’t Know Computers Control You? What, You Didn’t Know Computers Control You? Check out this webinar from ISSA, featuring Del Rodillas of Palo Alto Networks, to hear discussion on some of the issues surrounding SCADA and ICS, and suggestions on what may be done to detect, mitigate, and recover from a potential SCADA security failure.